Would You Give Your Kid Veal For A Christmas Present? 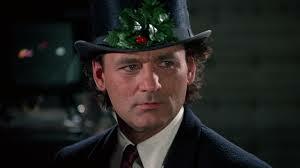 One of my favorite Christmas movies is “Scrooged” with Bill Murray. It’s a fairly dark, updated version of The Christmas Carol, but no where near as dark as Bad Santa, which I recommend only watching when the kids are sleeping over the grandparent’s house. Anyway, this got me thinking about gifts on Christmas morning. It has become very popular to give a puppy on Christmas morning. Even after years and years of campaigns by animal shelters, people still get them as presents for Christmas morning. Paws.org, Slate.com, Petrescue.com, Dogtime.com, Mommyish.com and Exaimner.com all have articles discussing how it is a bad idea to give a puppy as a gift. Would you like to know my opinion? I think it is a bad idea to give a puppy as a gift ANYTIME of the year. It’s one thing to get a tie you don’t like. It’s another to get a pet as a gift. I’d be upset if someone gave me a goldfish because I am now responsible for a living, breathing animal even if it only breathes water. And the worst thing to do is tell little Junior it’s now his responsibility to take care of the new puppy. Dogs are a HUGE responsibility and to saddle a kid with all of it is setting them up for failure. The most important part of having a puppy is training. That may seem like a shameless plug by a shameless guy but I can easily prove my point. Walk into any shelter in this country and the number one reason the dogs are there is because of behavior problems. 8 out of 10 dogs will not make it to their first birthdays. Some will die from disease, but the overwhelming majority will die because they never learned to poop outside, because they chewed the $3000 sofa and love chair, because they ran away when the door opened. And I am always here to provide a solution for this. If, you or someone you know is getting a puppy for Christmas, think about the training plan you are going to follow. Are there good, reputable puppy classes you can attend in your area? If you make training a priority your pup has a great chance of being a part of the family that your kids will remember forever. If you know someone that is getting a puppy and are worried about their training plan I am here to help again!